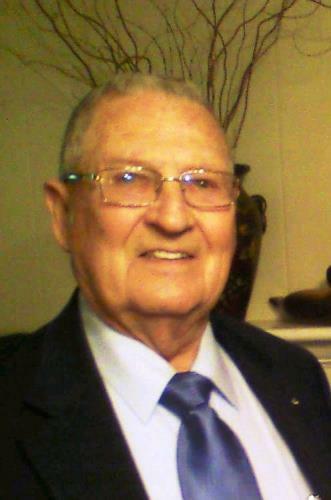 Clarence A. Schutt, Jr., 93, a resident of Hixson, passed away on February 9, 2019. He served our country with the 5th Marine Division in Iwo Jima as well as in Korea with the 1st Marine Division. Clarence was on Mount Suribachi and witnessed the flag-raising. He was captured at the Chosen Resrvoir from November – December of 1950. Mr. Schutt was a member of the Volunteer Masonic Lodge #549 F & AM, Chattanooga Scottish Rites, Marine Corps League, Chosin few, Teamster’s and was a part of the American Ex P.O.W. Survivors include his loving wife of 66 years, Ms. Margaret V. Schutt; children, Judy Ladd, Clarence (Barbara) Schutt, III, Katrina (Tim) Rice; grandchildren, Jessica (Tim) Swinney, Jenny Ladd, Lisa (Matthew) Hungate, Susan Schutt, John Farr III and four great-grandchildren. Funeral services will be conducted at 11:30 a.m. on Thursday, Feb. 14, in the chapel of Hamilton Funeral Home with Volunteer Masonic Lodge #549 F & AM officiating. Interment will follow at Chattanooga National Cemetery with military honors. His family will receive friends from 4–8 p.m. on Wednesday, Feb. 13, and from 10:30–11:30 a.m. on Thursday, Feb. 14, at the funeral home prior to the service. We invite you to send a message of condolence and view the Schutt family guestbook at www.HamiltonFuneralOptions.com.